Hamburgers, hot dogs and hash browns – what’s next? 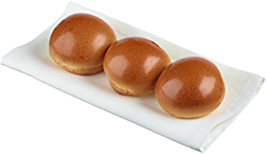 The French certainly got something right when they first made brioche bun many centuries ago. Not inherently sweet, it’s rich, buttery texture can be used to complement any meal. Here we take a look at some of the best uses for brioche buns and how you can cash in on the trend in your kitchen. Burgers are a big deal today. Put simply, the humble beef-patty-in-a-roll has evolved to become a ‘cuisine’ in its own right. From Neil Perry (The Burger Project), to Luke Mangan (Chicken Confidential) to Shannon Bennet (Benny’s Burgers) – you’re hard pressed to find a top chef who isn’t opening a chain of burger restaurants to capture on the growth in casual dining. Just as Australians’ appreciation for burgers has skyrocketed over recent years, and so too has the quality of what’s being served by pubs, clubs, cafes and restaurants around the country. Chefs have turned their back on bland, flavourless beef mince and are getting creative with their proteins, using ingredients such as pulled pork, smoked braised brisket and wagyu. Brioche is the next step to making a truly decadent and impressive burger. It complements ambitious ingredient choices as well as enhancing more classical flavours. The humble hotdog is also experiencing a resurgence and has become a common inclusion on foodservice menus. The fillings for both hot dogs have also come a long way; think aged cheddar cheese sauce, spiced onion rings, chipotle mayo, bacon jam and apple and fennel slaw. With so many foodservice outlets fighting for the same burger buck, operators need to continually reinvent their menu, giving consumers a reason to come back and part with their hard-earned dollars. Fancy hot dogs may be the answers, with meats ranging from sticky pork belly, to traditional bratwurst to vegetarian sensations. 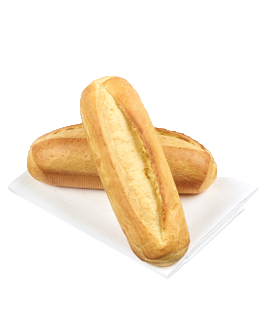 With the availability of brioche hot dog rolls, venues can sell their hot dogs at a higher price point. Say goodbye to Turkish rolls and sourdough toast and say hello to the latest cafe brunch trend: The brioche bun. Have you considered making a ‘breakfast brioche burger’ with savoury fillings? Hash browns with melted cheese, chutney and spinach make an exciting breakfast offering for those late morning crowds. Any extra sauce can be mopped up with the extra spongey brioche bun and those with Sunday morning sore heads will keep coming back for more. Brioche may not be your first thought when developing a dessert menu but a number of venues have realised the potential of the soft bun when paired with gelato, sorbet or frozen yoghurt. No longer will the question be ‘cup or cone?’ when customers have the option of making a delicious ice cream sandwich. So when you’re putting together your next menu, don’t just think about which protein to use, how spicy you want the sauce to be or how you’ll present your new breakfast offering, also consider what will encase these ingredients that you’ve put so much effort and time into.